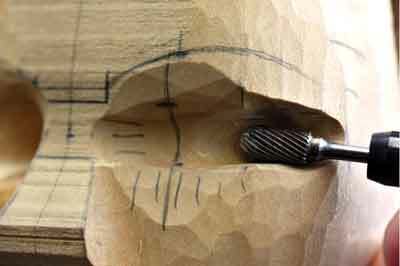 Eyes are an unforgiving detail that are vitally important to produce correctly, as they are without a doubt, the strongest focal point of the facial features on any carving. 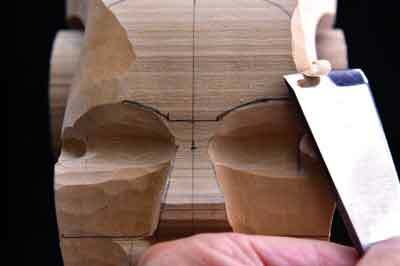 The fact that there are two of them positioned side-by-side adds even more of a challenge, as they need to be created in perfect symmetry with one another, so as not to appear peculiar. 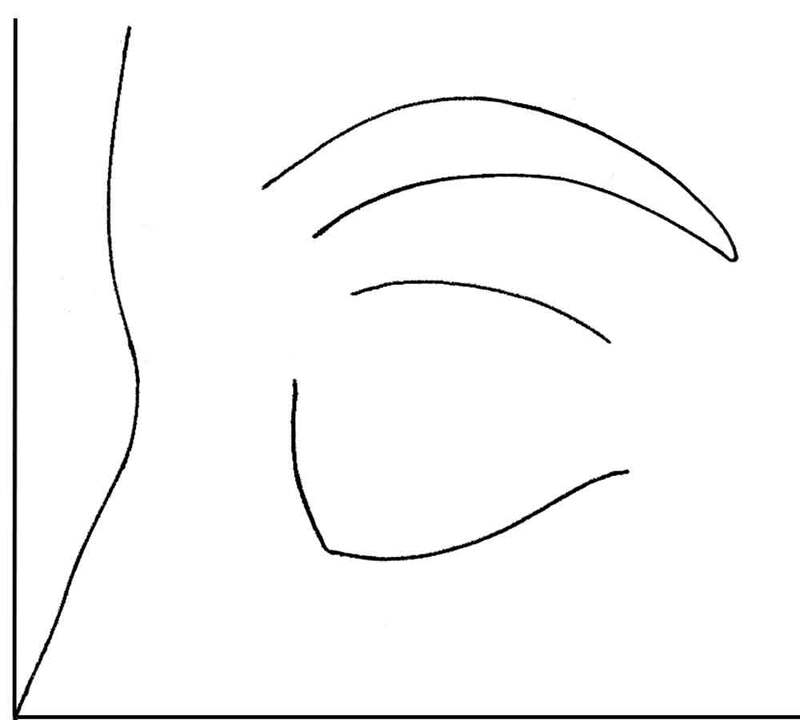 This technical exercise is methodically structured to guide you through the various stages of forming the shape of the eyes in their closed position, which in the right context, resonates far more emotion than the open eye and should be considered as an option when planning a design. 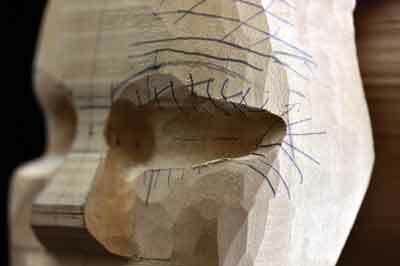 To create these realistically requires much practice over time, with practical studies of both human and animal subjects to achieve the high level of skill to produce an effective result. 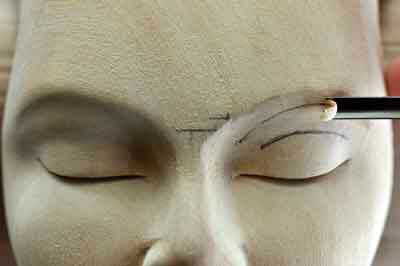 This also requires a thorough understanding of the anatomical structure, both on the surrounding surface and of the eyeball itself. 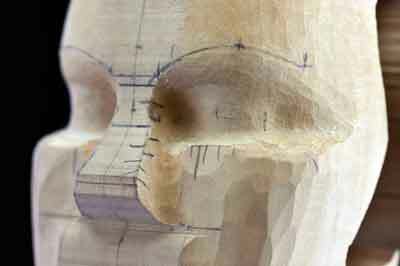 Please use the real-life images supplied as a visual reference to help give you an understanding of the various anatomical details of the subject as you work through them. 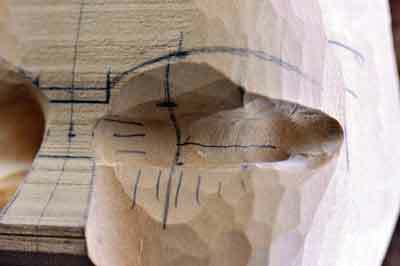 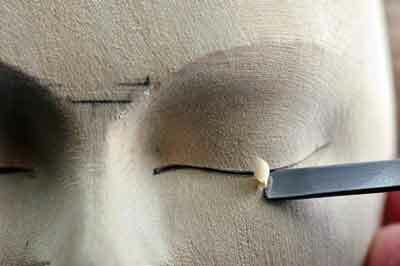 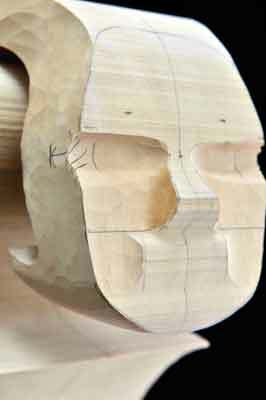 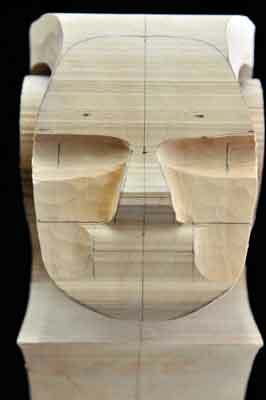 This exercise can be applied to either a scrap piece of wood, or directly onto the head of your carving, as shown in the example featured. 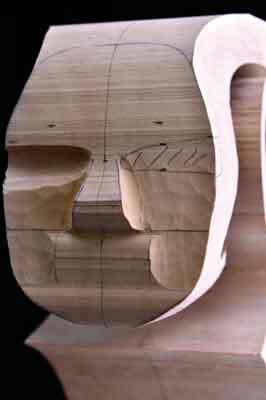 The scale drawings supplied should initially be scanned or photocopied in scale with one another to fit your wood - the larger the scale, the better. 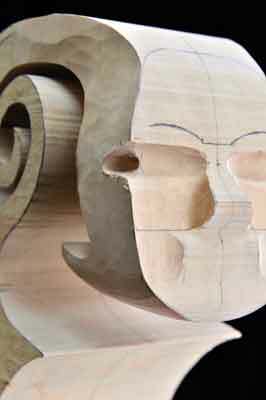 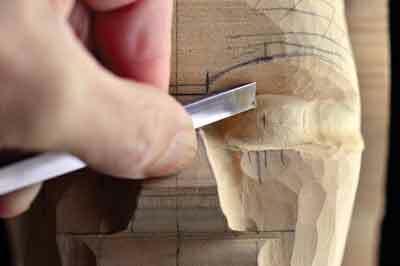 If you are working directly onto your carving, then it is essential to prepare reference material of the real-life model that you would like to represent. 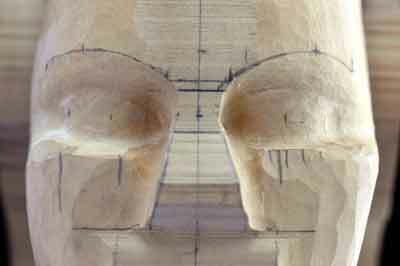 This requires photographs being taken of the subject from both front and side views, which are then scaled to the exact same size as each other. 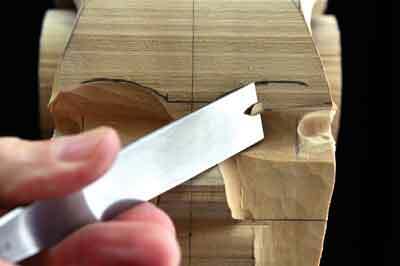 These are then used as a reference from which to measure and transfer onto your wood. 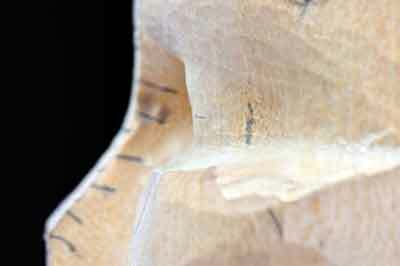 Measure and draw a centreline vertically onto your wood. 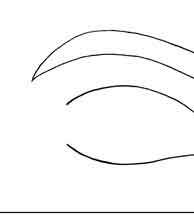 Then, using the front view drawing supplied, measure and mark the precise location of the upper and lowermost position of the eyes. 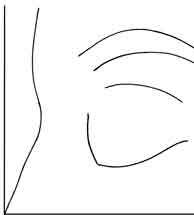 If you are working from photographs, draw a horizontal line on your reference material, level with the bottom of the nose, across the face on both sides. 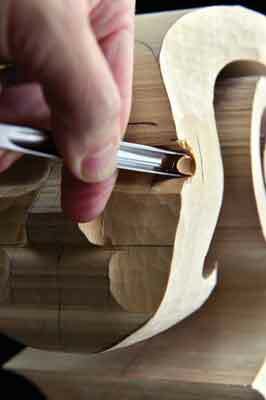 Do the same on your wood. 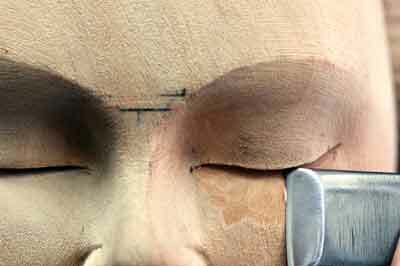 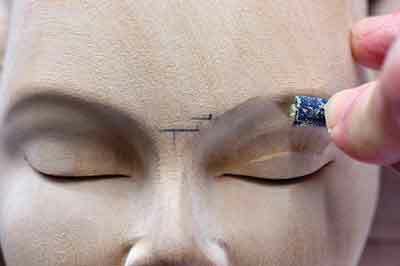 Take your measurements from this line on your reference material, on one side of the face only, up to the lower and uppermost position of the eyes. 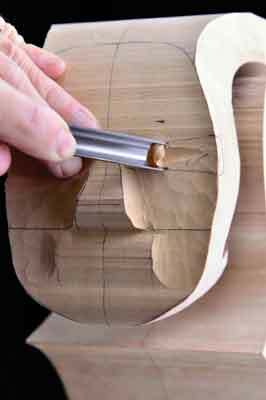 Transfer these measurements onto both sides of your wood. 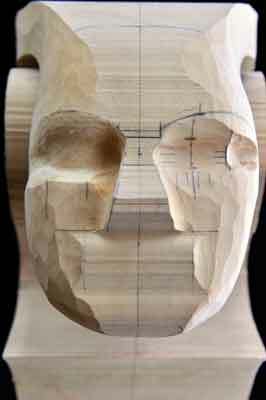 Then, using either the side view scale drawing supplied or your photograph, measure from the bridge of the nose, back to the forward most position of the eye and then transfer this measurement onto both sides of your wood. 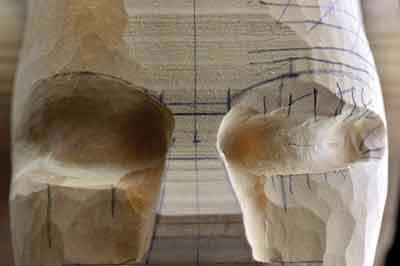 When attempting to recreate any real-life subject, it is essential to research, study and gain an understanding of its surface and underlying anatomy, so that this can be discerningly applied to the medium in a realistic style. 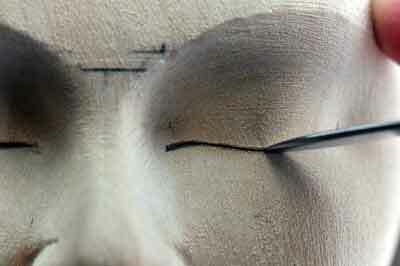 The eyes are no exception to this rule and have several important details to remember: one, the eyeball is a perfectly spherical shape, which is contained in a socket - orbit - and this initially requires a mound to be created in the medium before the eyelids are cut; two, the inner corner of the eyes are not visible when viewed from the side of the head, but do not extend back as far as the outer ones do; three, when viewed from the side of the head, the eyeball has a distinct forward tilt from the top to the bottom, and four, the distance between each eye corresponds to one width of the eye itself. 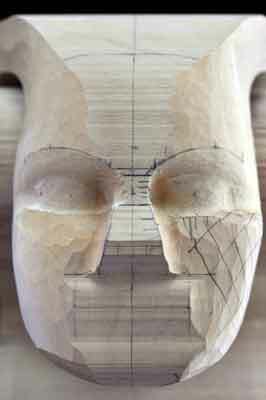 We now come to the final stages of the exercise, which is to produce the surface anatomy just above the eyeballs. 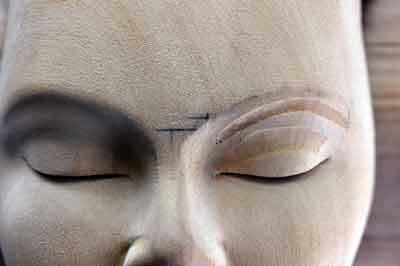 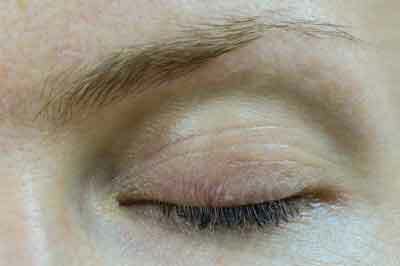 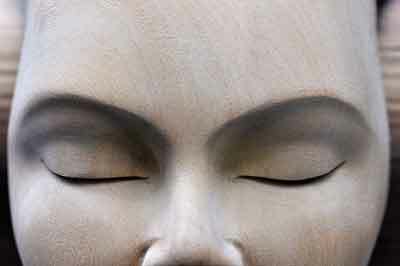 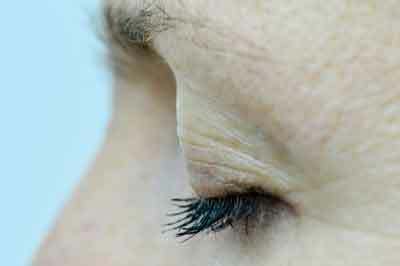 When the eyes are closed, you can clearly see the subtle groove at the position where the soft eyeball meets the orbit - socket - and disappears into it. 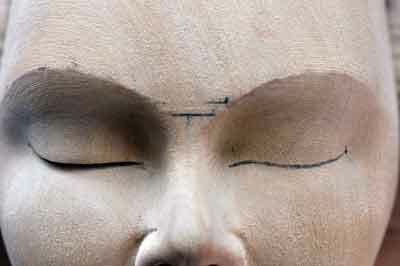 This, along with the eyebrows, are such simple details to create but add an incredible amount of life and subtle shadow to the finished piece, which is essential and very effective indeed.